The NuvaRing injury lawsuits are just a step away from soap opera-level drama. Okay, that’s a lie. It’s only dramatic to lawyers—you know who you are. The Missouri federal court judge tackled a motion by Organon (the original manufacturer) to hide some internal company documents. 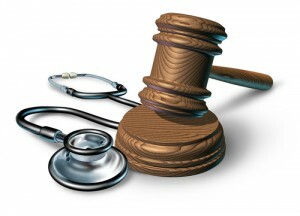 The background is that hundreds of women (about 952, as of September 5, 2012 and approximately 1500 as of August, 2013) who had used the NuvaRing birth control have filed lawsuits which have all been consolidated into one giant class action-like case called multi-district litigatoin (MDL). Those cases are filed against Merck, which merged with Schering-Plough in 2009, which itself merged with Organon in 2007. We believe that NuvaRing, a flexible plastic ring used for birth control, can cause blood clots, deep vein thrombosis (DVT), pulmonary embolism, stroke, heart attack, and death. In the NuvaRing “class action,” every case is combined for the purposes of general discovery. Discovery is a process whereby the people filing the lawsuits can ask questions and get documents about the facts of the case. Now for the drama: Organon filed a motion to keep some internal company documents sealed, meaning that the parties could view them, but the public could not. In general, most litigation is open—that is, a concerned member of the public, or a newspaper reporter could go in and look at these documents. Exceptions sometimes include things like juvenile court cases and cases where child protective services is involved. The manufacturer here was concerned with something else—damage to its reputation. Apparently, the documents (which were filed by Organon), reveal some troubling information, particularly about the amount of estrogen released by NuvaRing, and the Organon’s medical studies. Of course, the higher the estrogen transmission, the more likely that injuries will result. The federal judge decided on October 25 that the allegations and the documents are not out of line with similar product liability lawsuits, and that Organon did not show any trade secret that was at risk of exposure. Therefore, the documents were unsealed. This ruling came just 3 days after a similar ruling in New Jersey state court. Discovery continues in the federal cases with the goal being NuvaRing trials, a few of which are set for May 2013.